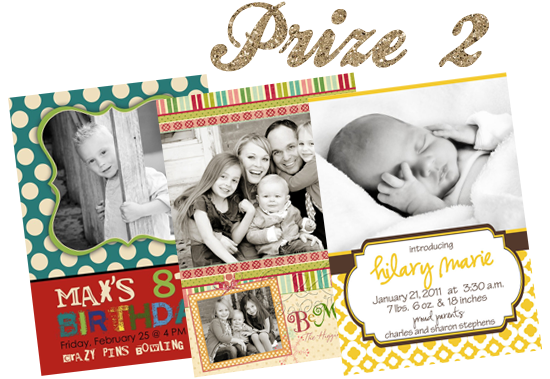 Bubby and Bean ::: Living Creatively: HAPPY HOLIDAYS GIVEAWAY /// Win 7 Prizes Worth Over $200! HAPPY HOLIDAYS GIVEAWAY /// Win 7 Prizes Worth Over $200! Christmas is only 6 days away, and we're playing Santa Claus! We want you guys to have the best holiday ever, so we've rounded up a whole bunch of incredible prizes from several of our magic Elves December sponsors, as well as a treat from Bubby and Bean. This is our biggest giveaway EVER - a package of 7 prizes worth over $200 - and one of you will win it all! This AMAZING giveaway is open to all Bubby and Bean followers. If you're a new reader, just make sure to follow first using Google Friend Connect (click here, or click on the blue "Join This Site" button under "FOLLOW" in the right side bar), or subscribe with one of these readers. Then just leave a comment with how you follow (GFC, Google Reader, etc.) and your first name so we can contact you if you win! That's it! This giveaway is open through Christmas Day, December 25th. The winner's name will be announced early next week! Huge holiday thank you's to the generous December sponsors who contributed such awesome prizes. GOOD LUCK! I already follow you through GFC! I would love to win! I saw the "beauty in simplicity" print and wanted it! No idea it was yours! I already like Bubby and Bean on Facebook! I added you on Google Plus! Awesome giveaway! Right on time for Christmas! Wow, it seems I've done everything already! I followed you on Twitter @CatherineDenton. I already follow Violet Bella so I didn't know if that counted. Love the owl hat at Blueberry Junkie! Violet Bella's on vacation but I pretty much love all her jewelry anyway. The hand-pleated skirt at Mountains of the Moon! 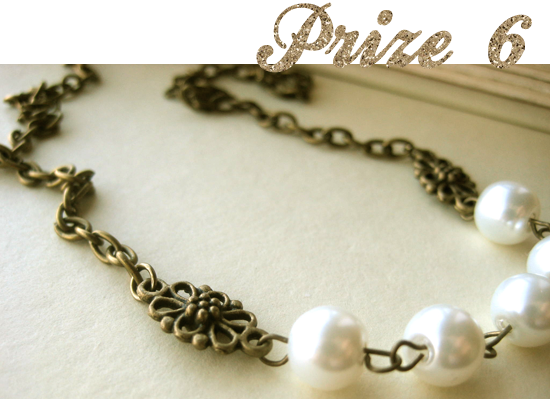 The small pearl bridesmaid necklace from Little White Chapel! Love the "There is Beauty in Simplicity" print by Bubby and Bean Art. I follow with both GFC and Google Reader. My name is Bonnie. I'm following on Google+, Twitter and Google Reader. Happy Holidays! I follow you on Facebook and Twitter (@Tori22) and now through GFC. Love your blog and DIY ideas :) Hope I win! Ohhhh my goshhhhh!!! Eeeeeep! This is so awesome!! :-) I subscribe and read religiously via Google Reader! Happy holidays from Gina and fam!! Extra optional entry: I like Bubby and Bean on facebook!! 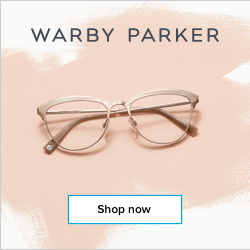 Extra optional entry: I follow on Bloglovin!! 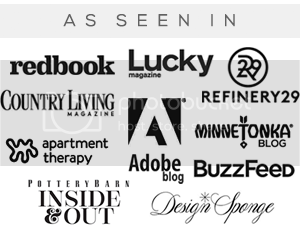 Extra optional entry: Major Stalker of you on Pinterest!!! Extra optional entry: visited Blueberry Junkie and my favorite item is the Fox Girl Hat!! Extra optional entry: My favorite item from Mountains Of The Moon is the Edie Dress in chocolate!! 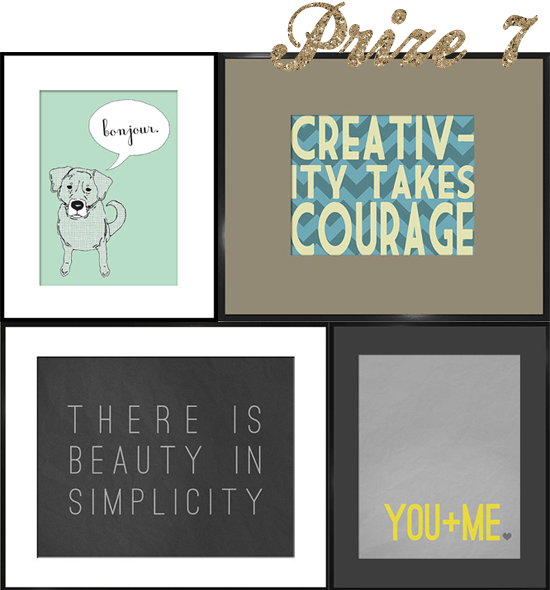 Extra optional entry: At Bubby and Bean my favorite item is the You Are My Favorite Person Art Print in Yellow and Gray!!!!!! 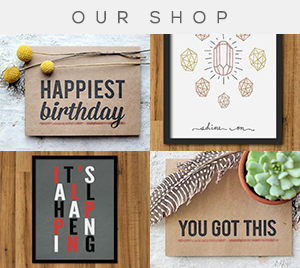 Extra optional entry: My favorite item and C And C Paperie is the happy birthday cards!! i've been following "violet bella" for a while, too! followin bubby and bean on gfc! 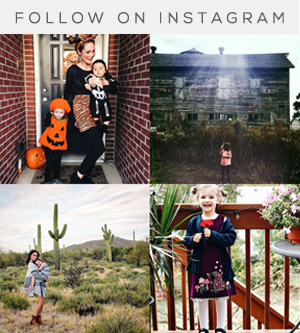 follow bubby and bean on bloglovin! Following your blog through GFC and love your posts! Amazing! I would love to enter and follow you via GFC. I totally follow you on Pinterest, too! I tweeted: "Win 7 prizes worth over $200 in Bubby & Bean's HOLIDAY GIVEAWAY! >> http://bit.ly/sE0ShD via @MotM_EcoFashion"
I like you on Facebook. I am Patty Snyder Doscher on there. 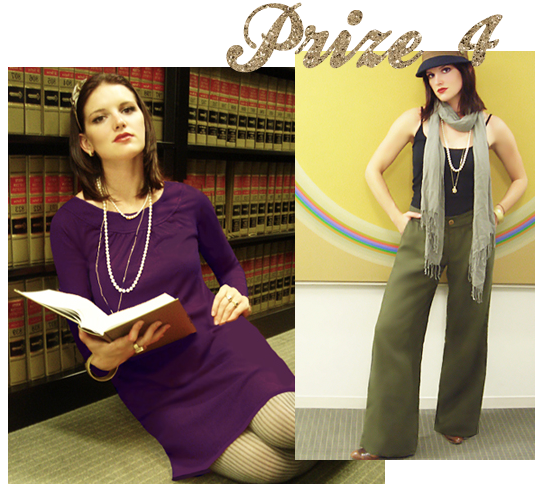 I mentioned this contest on my blog: www.thriftedlife.com. I added you on google plus. My profile name is: Patty Doscher. i follow all blogs from my blog's dashboard. 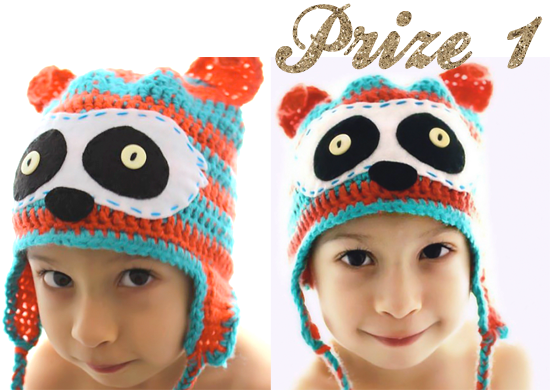 I love the Child Fox Hat from Blueberry Junkie Kids. I love the Goals and Wishes journal from Mountains of the Moon. I love the Vintage Blue Earrings from Little White Chapel. I like Creativity Takes Courage from Bubby and Bean. 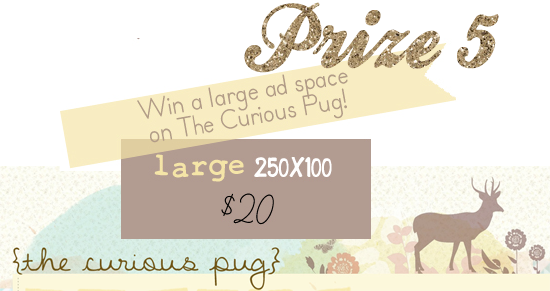 I follow The Curious Pug via GFC. I added you on Google Plus (Suzanne Gregg). I follow your blog with google friend connect and google reader! I follow you with Google Plus as Amber! 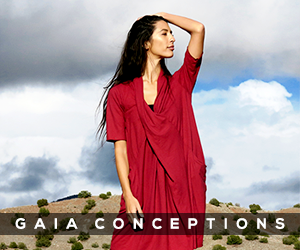 My favorite sold item from Roots and Feathers is the samara. an earthy tribal inspired geometric pendant. I'm Courtney and I'm following with Google Reader! I also visited your shop--I love LOVERS, but it was sold before I could get it! I also love There is Beauty in Simplicity--that's what I'm all about! Thanks! I love jewelry from Little White Chapel, especially Graduated Crystal Pendant! i follow blueberry junkie with gfc! the girlie fox hat from blueberry junkie is awesome!! i love the vintage subway art bday invite from c & c paperie! 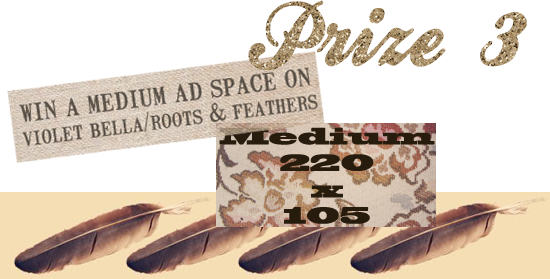 i follow the roots and feathers and violet bella blog on gfc! roots and feathers and violet bella are on vacation on etsy, but i signed up to receive updates when they get back! i follow the curious pug with gfc! Following through GFC and Facebook. I love the To Be Yourself quote from Bubby&Bean Etsy shop. My favorite item from Blueberry Junkie is the Child Fox Hat: Crocheted Woodland Forest Animal Beanie!! I follow you with NewsFire! My favorite item from C & C Paperie is Love and Joy print! I love Graduated Crystal Pendant - bridal, rhinestone, necklace, silver the from Little White Chapel! love the fox and raccoon at blueberryjunkiekids! I love the vintage cupcake toppers @ CandC! the vintage blue jewel necklace from littlewhitechapel is beautiful! I love the bonjour and merci dog cards from bubby and bean!